Our Online Credit Card Payment Processing module posts payments directly to the Credit card Processing Company. 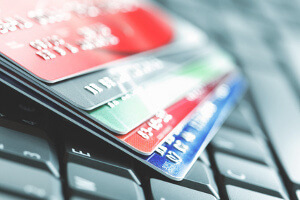 The Credit Card information is then stored encrypted in the database, according with the guidelines of the Payment Card Industry Association. Further use of the stored Credit Cards is made without the users seeing the Credit Card information, identifying the different cards on file for a customer by their last four digits.